We're rapidly nearing the end of our time here in Alice Springs. After Easter we'll be back in Perth and this photographic dominated travel log will give way to painting I expect. 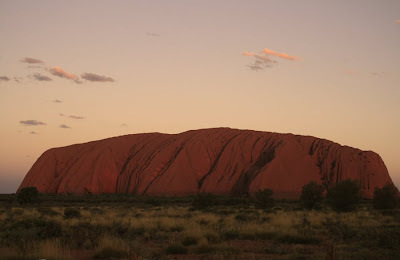 This selection of photos were taken at Uluru (Ayres Rock) last weekend when we adventured the 1200km loop from Alice Springs to Uluru, Kata Tjuta, Kings Canyon and back to Alice via Hermannsburg. A warm up for the 3000km road trip next weekend. These photos are stunning! The blues and reds seem equipotent. And thus, Is the rock carved by the sky, or, is the sky sculpted by the rock? 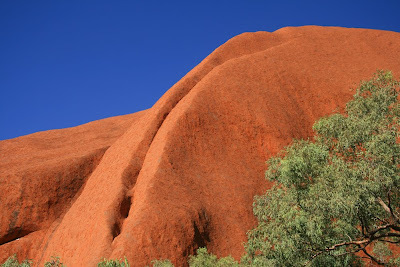 Uluru is such an icon. (Some more commentary you have gleaned from the indigenous owners of this land would be welcome here David! btw, i didn't get to King's Canyon but believe that is spectacular too).. I wish I knew a little more about thePitjantjatjara and Yankuntjatjara mobs Wayne. I'm a poor source of commentary on their relationship with Uluru and Kata Tjuta. I've had more to do with the Arrente, they're also pretty happy to share their stories. 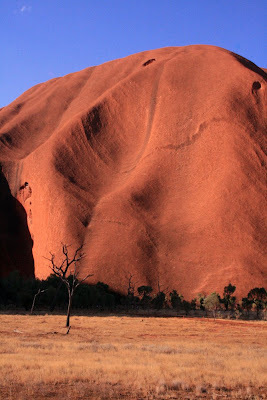 Uluru's sculptural forms are staggering. For anyone with a sense of balance in design there's an exiting form of massive scale at every turn. 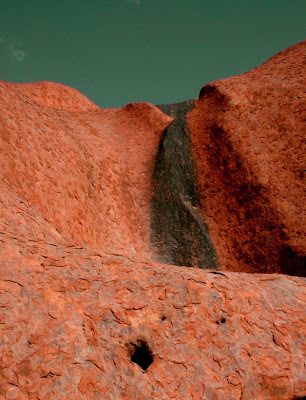 Kings Canyon is an amazing place without doubt, but Uluru and Kata Tjuta floor me every time. They appear almost deliberate and excite ones primordial senses with form, scale, colour, texture and context. They are fantastic shots, no mistaking that color for anywhere else in the world. I think you will have to go to the Grand Canyon when you come over here, it's pretty amazing. Pitjantjatjara and Yankuntjatjara - never heard of those, are they real names? I guess so, need to Google. 22hrs from Ceduna in S.A to Perth. There are a few photos worth showing of the scenery on the return trip. Will probably post them tomorrow. Thanks Isa, you flatter me. I can hardly wait until it's my turn to go! Your photographs are great! 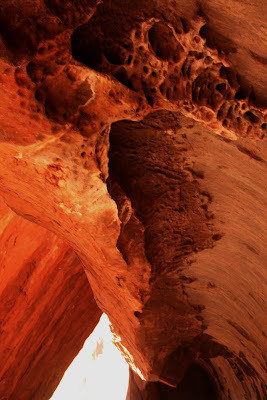 That brilliant blue sky against the red of "The Rock"...the textures and the shapes in those closeups...so sculptural and almost sensuous. Stunning photos David. I still haven't been there, shame on me.